Tottenham will enter their first full season back at White Hart Lane with expectations high. The 2019-20 season will be crucial for the future of Spurs, as the time for the club to win a trophy seems to be impending. The long-term future of Mauricio Pochettino seems to have worked out how fans would have hoped with Real Madrid instead opting for Zinedine Zidane and Manchester United looking likely to appoint interim manager Ole Gunnar Solskjaer. Pochettino hasn�t yet signed a new contract, but all the signs point to the Argentinean remaining at the club. However, the pressure will mount next season, and the club is going to require a big summer to cut the gap between themselves and the other leading clubs in England. The fact that Spurs haven�t signed a player for the last two windows, while players have been allowed to leave has raised questions behind the financial stability that the club has. Either that or the answer is just that the manager is happy with what he has and the younger players coming through the academy are the quality that is needed. But who could potentially be on their way out of the club, and most pressing; who could be coming in? The question seems unlikely to have a simple answer, as the quality of player that is needed to improve the squad is likely to need Champions League football to make the switch, which means that a top-four finish is essential for the growth of the club. Most bookmakers appear to have the confidence in the club to complete the job, with bookies making Spurs the 8/13 favourites to be playing Champions League football next season. The type of player that is needed is very specific, with the character almost as important as the quality that the player posses. Spurs have been linked to Adrien Rabiot throughout the season as the French international has rejected multiple contract extension offers from PSG. However, while the quality that the midfielder has is clear for all to see, the attitude that he possesses leaves a lot to be desired and could prove to be a disruptive figure in a very settled dressing room. Spurs may look elsewhere because it is certain that the central midfield position is an area where the club needs to invest. The departure of Mousa Dembele has left a massive gap in the team. Harry Winks and Moussa Sissoko have performed admirably all season, but neither is the quality that is required to be challenging for domestic honours. Their attributes don�t include the allusive ball winning traits that the club desperately need. Hugo Lloris has endured a difficult season and could easily head out of the club; he has had to deal with personal problems on top of the dip in his form. It could merely be a World Cup hangover, but even in the final of that competition he made a mistake; which is becoming familiar with the French number one. The club captain has won a lot of points for the club since his arrival in 2012, but this season has seen the keeper cost Spurs vital points and seems to have already played his best football. Just look at Liverpool this season as a marker of how critical a solid goalkeeper is; it�s often the difference between winning trophies and coming up short. Keeping the current stars is fundamental for the clubs progression. It is unlikely that the club will lose Harry Kane or Dele Alli, but it would be the situation regarding Christian Eriksen and Toby Alderweireld that fans will be most concerned about. The latter of the two now has a release clause in his contract which could see the Belgium international leave for �25 million. 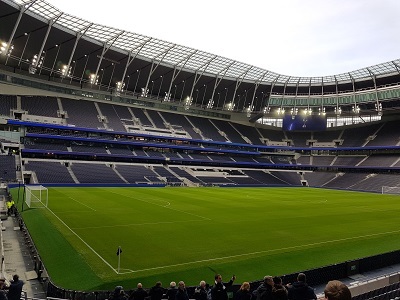 Moving back home will undoubtedly be an exciting time for the club, but Spurs must learn from the lessons that their North London rivals couldn�t and remain competitive and not treat the financial strain as a burden.